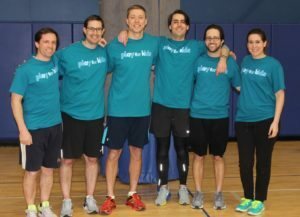 A team from the Firm composed of Tom O’Connor, Wyatt Jansen, John Hendele, Eva Kliegman, Giovanni D’Amico, and Michael Battema participated in the Center for Children’s Advocacy Play for Kids event on March 7th at Chelsea Piers in Stamford, Connecticut. Play for Kids is a friendly athletic competition between teams of young professionals from throughout the NYC metro and Fairfield County area. Play for Kids raises funds for the Center for Children’s Advocacy, an organization providing legal services to Connecticut’s most vulnerable children. The Firm raised $1,200 for CCA by participating in the event. The Firm is proud to announce that that Luke Tashjian was recently elected as a Fellow by The American College of Trust and Estate Counsel (ACTEC). ACTEC is an organization of peer-elected lawyers and law professors who are skilled and experienced in the preparation of wills and trusts, estate planning, and probate procedure; and administration of trusts and estates of decedents, minors, and incompetents. To become an ACTEC Fellow an attorney must first be nominated by an existing Fellow, undergo a substantial application process, and then be voted on by the ACTEC Fellows in the states in which the Lawyer has practiced in the past ten years (i.e. Connecticut, New York, and Massachusetts for Luke). After being approved by the Fellows in the states, the attorney is voted on by the ACTEC Board of Regents at a national level. Lawyers and law professors are elected to be Fellows based on their outstanding reputation, exceptional skill, and substantial contributions to the field by establishing a history of lecturing, writing, teaching, and participating in bar leadership and legislative activities. ACTEC is the premiere estate planners’ organization in the United States, comprised of leading trusts and estates lawyers in all 50 states. The Firm successfully opposed an application for a variance to construct an apartment building on West Putnam Avenue. Jim Fulton took the lead in representing the opposition group against the project and request for the variance to accommodate it. The Greenwich Planning and Zoning Board of Appeals denied the application. The Firm is proud to announce that Drew Nelson has joined the Firm as a Partner in the Corporate Department and Eva Kliegman has joined the Firm as an Associate in the Trusts and Estates Department. For more than 30 years, Drew has been providing legal and business advice to private equity and venture capital funds, other investors, U.S. and non-U.S. companies and individuals. He has represented individuals and business entities in connection with business, financial and corporate law matters. In particular, he has advised clients in connection with the financing, acquisition and sale of businesses, and has acted as a general corporate and commercial advisor. Prior to joining the Firm, Drew advised clients on a wide range of business, finance and corporate law matters as a partner at Martin LLP (2009-2018), Sidley Austin LLP (2001-2009) and Morgan Lewis and Bockius LLP (1994-2001). He was also associated with Lord, Day & Lord, Barrett Smith (1986-1994). Eva represents clients in all estate planning matters, including gift, estate and generation-skipping transfer tax planning; the preparation of wills, trusts and related documents; estate settlement; and trust administration. Prior to joining the Firm, Eva practiced at Green & Sklarz in New Haven. Charles Pieterse (Trusts & Estates Litigation), Jim Riley (Business Litigation), Thomas O’Connor (Rising Star – Civil Litigation/Defense), Luke Tashjian (Rising Star – Estate Planning & Administration), Wyatt Jansen (Rising Star – Business Litigation) and Kathryn O’Neill (Rising Star – Business/Corporate) were named Connecticut Super Lawyers. Charles Pieterse was also selected as a Top 50 Super Lawyer for the State of Connecticut. The Firm successfully defended the owner of a commercial property in a subcontractor’s lien foreclosure action based on work done through a prime contractor that the owner had already paid, but then went out of business. The subcontractor argued that the “lienable fund” rule did not apply because of the owner’s alleged bad faith in first paying the prime contractor, then cancelling the check to pay the subcontractor at the prime contractor’s request, only to cancel it again to pay the owner of the prime contractor’s receivables after a demand was made by one of its creditors. The court ruled in favor of the owner, holding its actions in making payment as it did were reasonable and proper under the circumstances. John Shaban and Mike Battema handled the matter. Luke Tashjian served as a moderator for a panel discussion held by the Federal Tax Institute of New England on Tax Ethics. The Firm is proud to announce that John Hendele has joined the Firm as Counsel in the Litigation Department. John has represented a variety of corporate and individual clients in litigation and enforcement actions in state and federal courts throughout the county. Prior to joining the Firm, John was an associate in the New York offices of Winston & Strawn LLP and Buckley Sandler LLP. Luke Tashjian presented at the Probate Section of the Connecticut Bar Association on Civil Tax Non-Compliance for Decedent’s Estates. Luke Tashjian presented at the National Business Institute Speaker on Estate Inventories and Satisfying Creditor Claims. 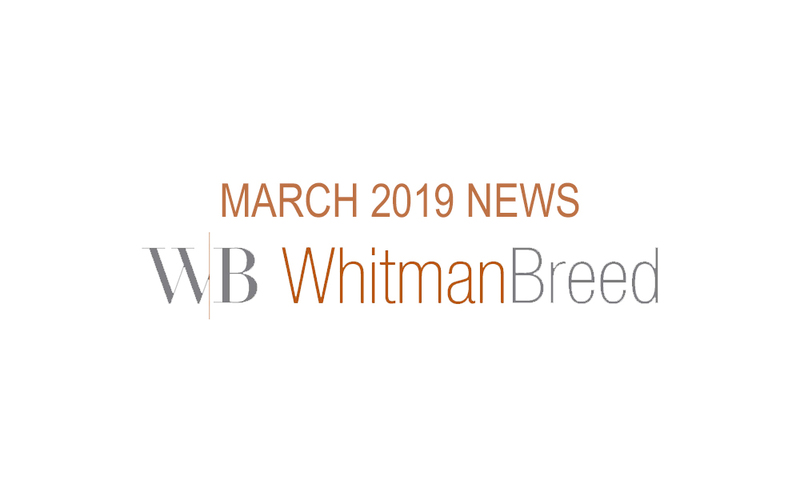 New York’s Appellate Division, First Department, has unanimously affirmed the dismissal of fraudulent transfer claims against two of Whitman Breed’s overseas clients, holding that they were not subject to suit in New York. The plaintiff – a major German bank – claimed that the Firm’s clients had received illicit transfers of foreign assets worth more than $150 million. The First Department held that New York’s courts lacked jurisdiction because none of the alleged transfers took place in New York or involved New York assets. The decision affirms Whitman Breed’s earlier victory in the trial court, which had similarly dismissed the suit on jurisdictional grounds. The First Department appeal was argued by Tom O’Connor, with Charlie Pieterse and Wyatt Jansen assisting on the brief. Luke Tashjian presented at the Westchester County Chapter of the New York Society of Independent Accountants regarding The Tax Cuts and Jobs Act of 2017 and Connecticut and New York’s Responses to the Act. The Firm prevailed on its motion to strike two counts of a complaint in a trusts and estates dispute over nearly $20 million in transfers. Our motion raised the unsettled issue of whether and in what circumstances Connecticut courts should recognize a cause of action for tortious interference with an inheritance. A judge sitting on the Superior Court’s Complex Litigation Docket agreed with our arguments that, whether or not the tort is recognized, the plaintiffs had failed to plead the level of tortious conduct required to state such a claim. The court further agreed with us that the plaintiffs had no legitimate expectancy interest under the divorce agreement under which the plaintiffs’ claims allegedly arose, dooming both the tortious interference with an inheritance claim and a related claim for tortious interference with a contract. Charlie Pieterse and Wyatt Jansen handled the matter. Luke Tashjian presented at the Connecticut Bar Association’s Annual Conference on the Tax Cuts and Jobs Act of 2017. Luke Tashjian presented at the National Business Institute on the Income Taxation of Trusts and Structuring Marital Trusts. © 2018 WHITMAN BREED ABBOTT & MORGAN LLC.